Sometimes, all you need to do is take things one step at a time. Breathe. Separate the training into little pieces. Allow your body and your mind to work together to create something amazing. 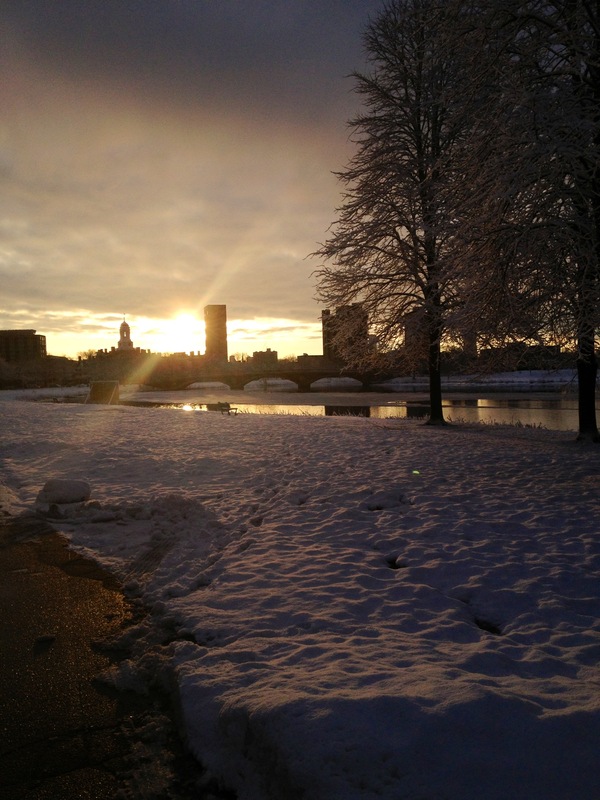 Here are some beautiful (and funny) sights I’ve seen this week while training around Cambridge. 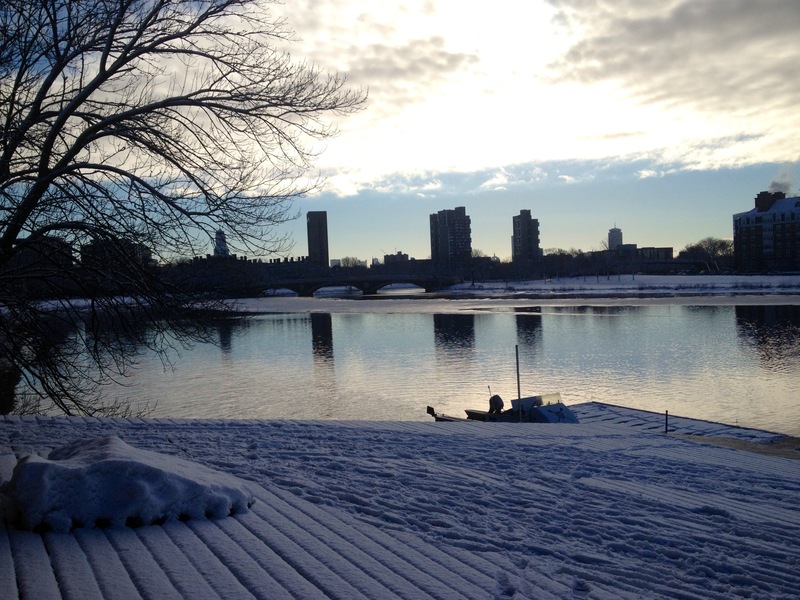 What are your favorite beautiful spots to admire or train by in your neighborhood? We all have our favorite foods – even in the “healthy food” realm. Whether it’s your go-to sweet treat or you favorite healthy bar or fruit, it can be tough to think outside the box and to try new things. Below are some of my favorite new healthy foods I have come across at Whole Foods. Give them a try! Bars are great for quick nutrition and easy snacks. 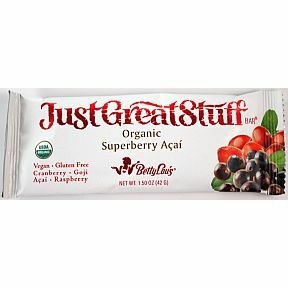 I love the Just Great Stuff bar because it packs in a TON of antioxidants and fruit and also tastes sweet, moist and satisfying. The brand also has a cocoa variation (among others), so check it out! 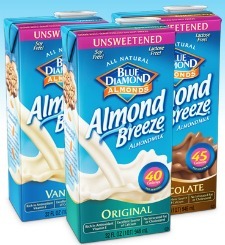 Whether you are lactose intolerant or just looking for a change from regular milk, Almond milk is a great alternative. It’s low in calories and fat, and still holds a similar consistency and flavor of milk. I prefer the unsweetened original variation, but there are sweetened, chocolate and vanilla versions available also. The other day while I was shopping at Whole Foods, I passed by a sample table with this Flax and Honey Banana Bread. Upon tasting it and looking at how healthy the recipe was (no added sugar, no butter, no eggs), I was hooked. 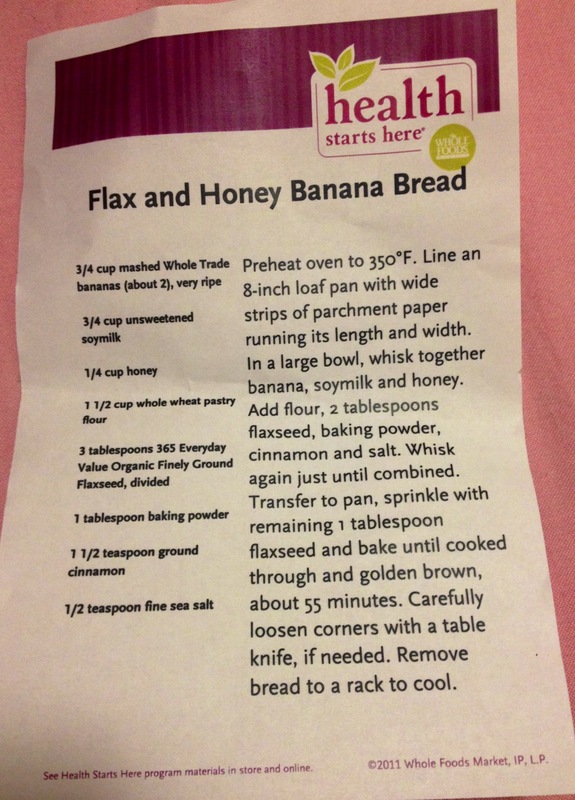 Next time you are looking for a yummy baked food, try the Flax and Honey Banana Bread. It’s easy to make and SO tasty. They had cute little mini loaves for sale at Whole Foods the other day! This one seems like an obvious choice. We all eat apples, right? 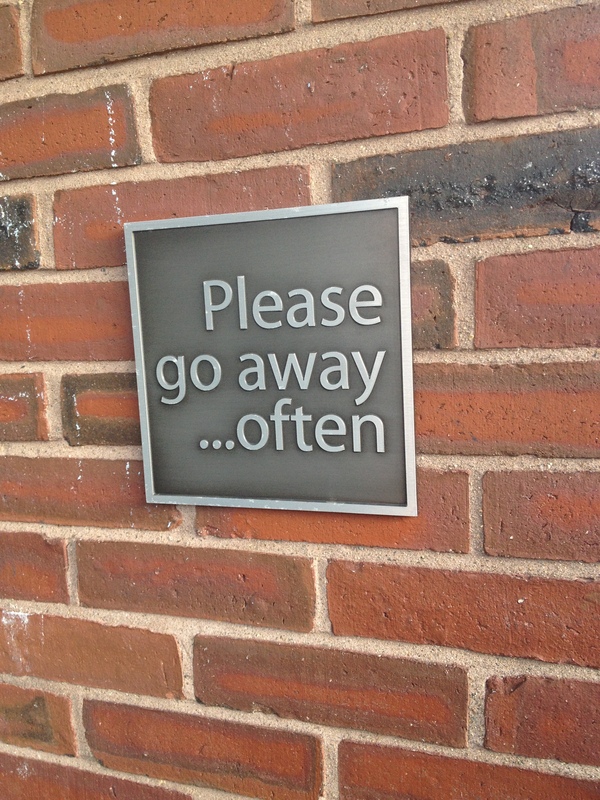 Well, maybe. 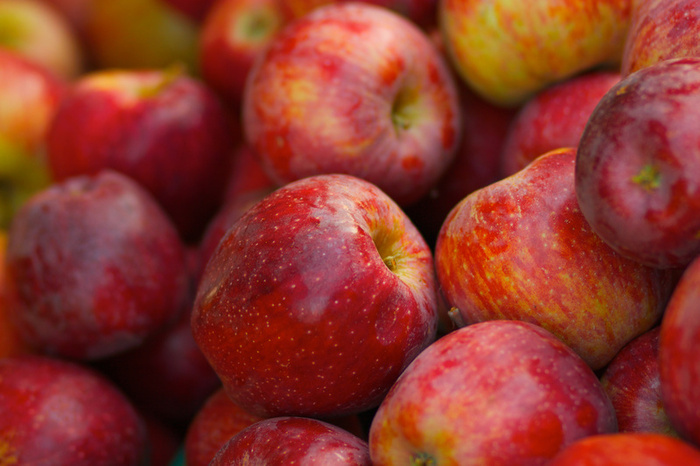 If you haven’t been adhering to the “apple a day keeps the doctor away” mantra lately or if you’re just trying to eat some more fruit, apples are the way to go. They’re quick, easy and can satisfy your sweet tooth – if you buy the right kind. The sweeter, crisp, juicy apple variations I find to be the most satisfying. Look for these keywords on the label card by the apples next time your food shopping – and also look our for Braeburn and Piñata variations! They are so sweet and satisfying. Granola sounds healthy, so it must be… right? Not always. Be sure to look at the ingredients in the granola you’re choosing to make sure it isn’t processed or filled with fake sugars. 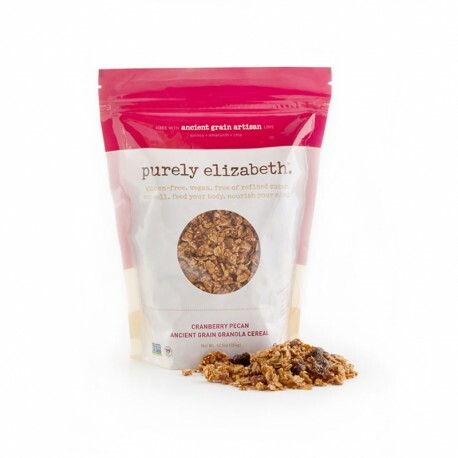 Purely Elizabeth is a superb granola brand with whole ingredients and great taste. My favorite flavor is Cranberry Pecan, although there are other variations including blueberry. These granolas are gluten free, vegan, and filled with wholesome ingredients like quinoa. Yum! More healthy yummy foods soon. 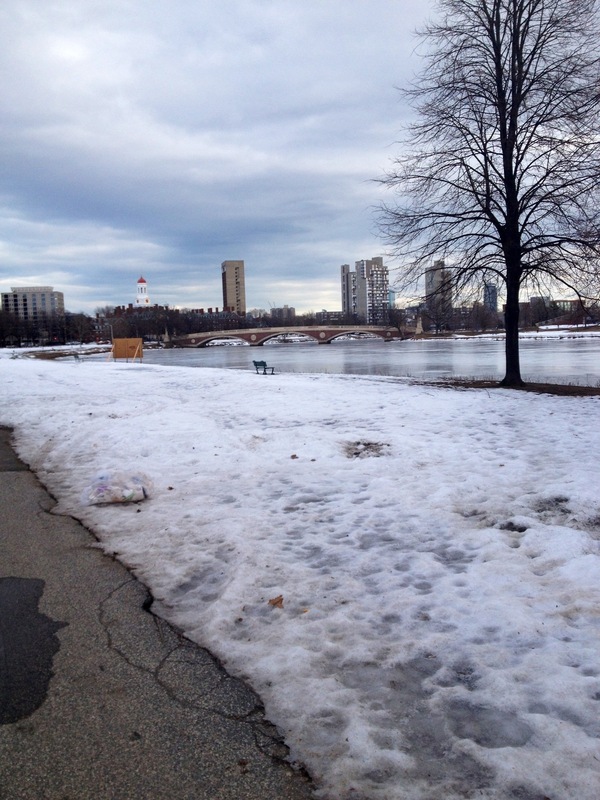 So much snow in the Boston/Cambridge area and more to come! 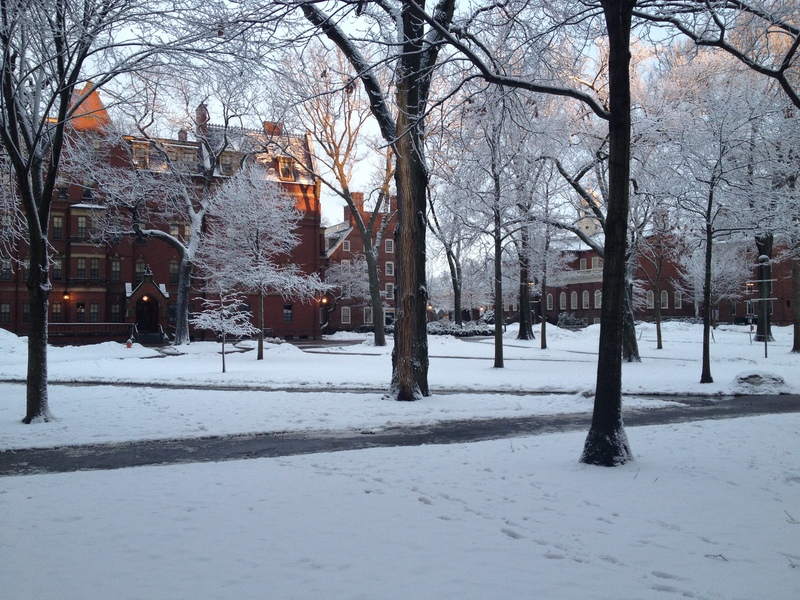 If you’re in a cold area, how have you been dealing with the snow? Working out outside or sticking to the gym? Hopefully sunny days are ahead of us! A few days ago, I was spinning inside and watching the 1993 replay of the Hawaii Ironman triathlon. A portion of the video was devoted to “Chuckie V“, the crazy 1990′s bad boy of triathlon who sported a mohawk and actually got banned from racing in Ironman Hawaii due to some controversial race antics. 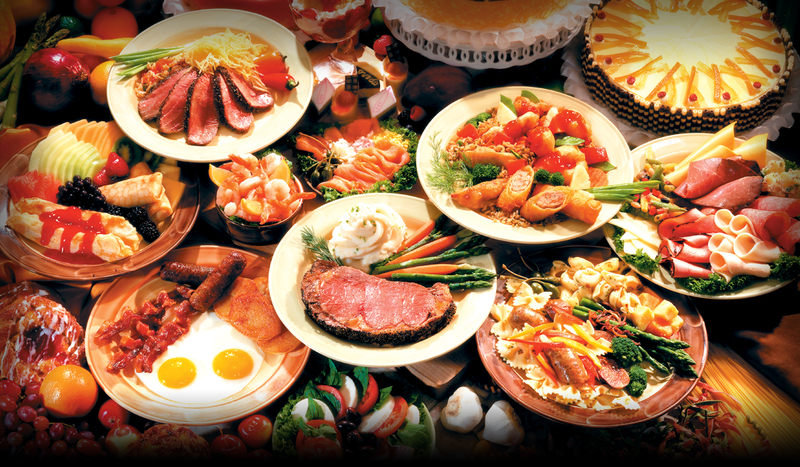 How about you… Do you finish one meal and immediately begin thinking about or planning your next meal? And is being hungry all the time like this bad or mean something is wrong with you or your physiology? Is Hunger A Bad Thing? Starting from the time when you were a baby, if you never got hungry, you’d have very little incentive to eat. No eating would mean no nutrients or calories, which severely limits your growth and survival. -Try cold exposure – check out this podcast episode to learn more about how cold exposure may help with leptin sensitivity, and read some practical cold exposure tips here. -Limit your options by having small amounts of simple, real, raw foods around the house – no big Costco variety packs or easy to grab cans and bags. -Keeping a food log. I personally log all my food for my clients. The way I do it is I have a free, private blog on Posterous.com – then I just send a daily e-mail with what I ate, and it auto-posts to that blog. -Using photos. DietSnaps is a great app for taking food photos and recording what you ate, if writing isn’t your thing. -Not snacking too frequently. It’s almost impossible to keep track of food and calories if you’re snacking 5-10 times a day (as many nutritionists sadly suggest). Instead, just eat 2-3 square meals, and then, if you have a workout, only eat either before or after the workout. -Making your own food. The less you eat out at restaurants, have other people prepare your food, or eat out of packages and containers, the easier it will be to keep track of and know what you ate. Being hungry is not a bad thing if it is because you have a biological need for more calories or nutrients. But if not, it usually indicates a hormonal imbalance or psychological trigger that may need to be addressed. 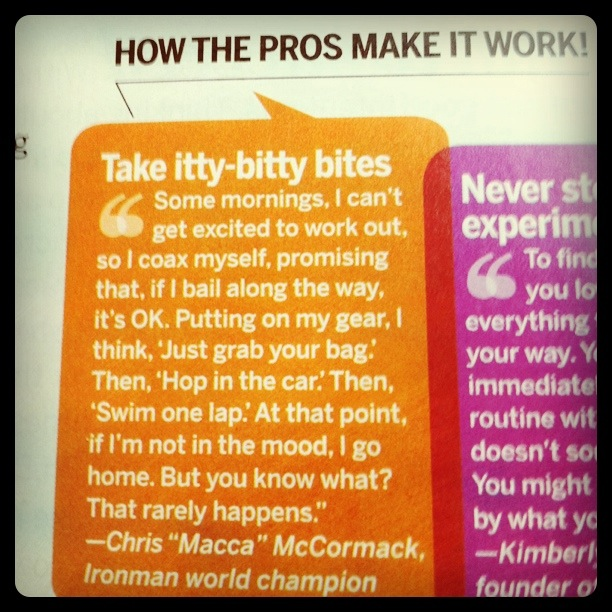 As endurance athletes, most of us are used to a challenge. We’re used to people saying “why would you ever want to do that?” when talking about our next racing venture. But even to many endurance athletes, getting covered in mud and taking part in countless difficult obstacles may sound like a bit much. However, a growing number of individuals have been flocking to Tough Mudder events all across the world to do exactly that… and participants seem to love the races. The Tough Mudder events involve a 10-12 mile obstacle course (including elements involving fire, electric shock, climbing walls, running through mud and more) and were developed by British Special Forces. 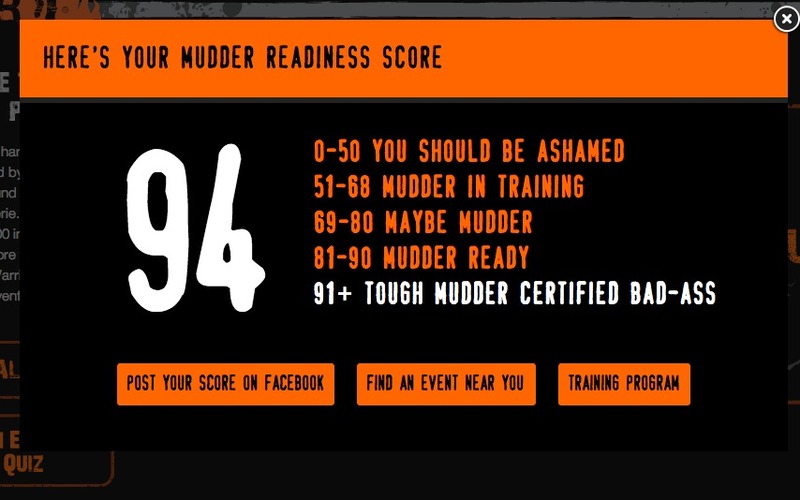 What are your thoughts on the Tough Mudder craze? Many participants find the events both thrilling and a fun alternative to traditional workouts. So if you’re looking for a fun mid-season triathlon break, a new challenge or even a new event to train for with friends consider the Tough Mudder. You can find events in your area here.